Hub53 Coworking and Coliving Space offers guests the chance to be even closer to a community of travelers who are seeking a more local experience. 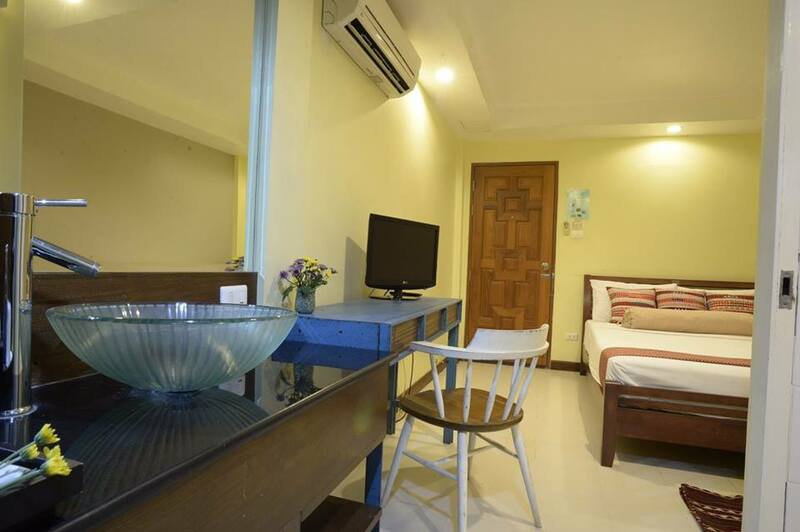 Our rooms can fit the budget and needs of any digital nomad, from essential Superior rooms to roomy King-sized suites. The daily, weekly and monthly are offered all year round. The monthly and weekly rental comes with weekly cleaning service and daily housekeeping for daily stay. Residents have access to common living area, nap room, skype room, shared kitchen, laundry room and 24 hours coworking space. The Superior Room of 13 Sq.m. has everything you need to relax after a long day of brainstorms or wandering around Chiang Mai's famous temples. It is equipped with a twin bed, private bathroom, fridge, vanity, and small desk. The Queen A room of 17 Sq.m. is ideal for those who wish to treat themselves to a bigger bed and a private outdoor space. It comes with a queen-sized bed, a small private porch, private bathroom with shower, vanity, fridge, closet and desk. The Queen B room of 19 Sq.m. is perfect for travelers who like to take their coffee outside. This room features a Queen-sized bed, a medium-sized private porch with large windows, private bathroom, vanity, fridge and desk. The King room of 25 Sq.m. is the ultimate luxury accommodation for those who like to travel in style. It features a king-sized bed, a large balcony with a coffee table and chairs, flat screen TV, large private bathroom, vanity, fridge, closet, and a sofa bed which can turn into a bed for extra person. Daily rate includes daily housekeeping, utilities and 24 hrs access to the coworking space. Weekly rate includes weekly cleaning service, utilities and 24 hrs access to the coworking space. Monthly rate includes weekly cleaning service and 24 hrs access to the coworking space. Utilities are excluded from the monthly rent. Water fee is 400 Baht/month/resident and electricity fee is 7 Baht/meter unit. For monthly rental, damage deposit is one month rent. It will be refunded after deducting the electricity fee and other compensation when moving out. Twenty four (24) hours access to the coworking space for 1 person is included in the price. Extra person pays half price of the coworking pass. The weekly rate is offered to the minimum 7 days stay and monthly rate is offered to the minimum 30 days stay. The VAT (Value Added Tax 7%) is excluded from the prices. To extend the contract, minimum 14 days before the check out date is required.